You're invited to our lunch fundraiser supporting Mobius Children's Museum & Science Center. Join us to learn how Mobius is making an impact in our community! 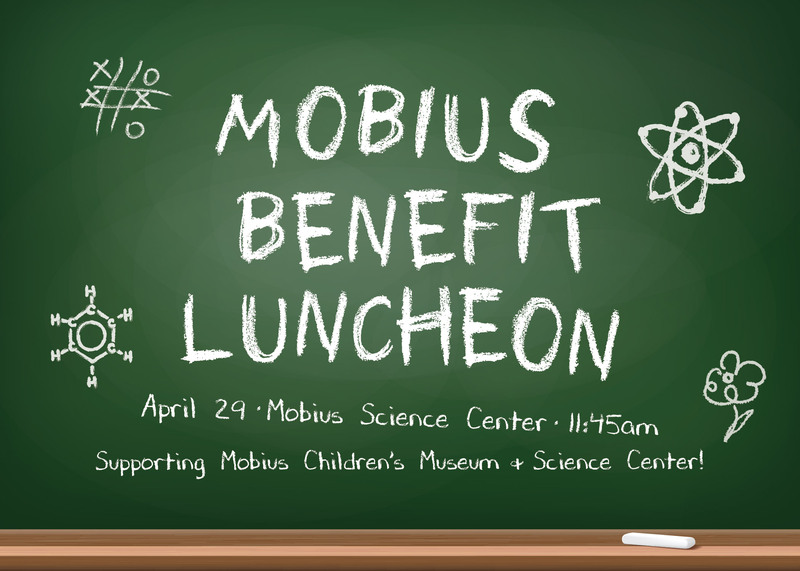 There is no charge for the lunch, but you will be asked to make a donation to help Mobius spark curiosity and ignite imaginations! Recognition as Presenting Sponsor in all event promotion, event program, and during the event. Recognition as Supporting Sponsor in all event promotion, and during the event. The time is now! Create a lasting legacy and donate to help us inspire lifelong learners in our community and throughout the region. The Mobius Society recognizes and honors donors who have made significant contributions for the advancement and support of the Mobius mission. In return, members of the Mobius Society receive benefits and recognition. YOU MATTER! It’s only through the continued financial support of our dedicated donors that we can fulfill our commitment to invigorate minds, inspire careers, and instill wonder in lifelong learners through hands-on exhibits and dynamic programs. Thank You For Supporting Mobius!